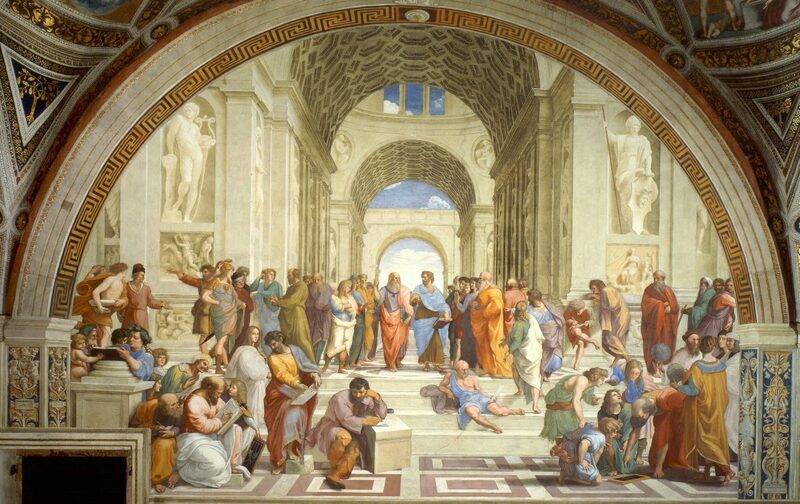 Philosophy traditionally has been seen as the study of the highest natural principles, such as logic, ethics, and the structure of reality, which secondary fields like science depend on to form their conclusions. In recent times philosophy has become a contested field with countless competing understandings, schools of thought, constructions, deconstructions, and opinions which mutually contradict each other. But it was not always so. In this episode we discuss the idea of one single philosophy (since there is only one reality), namely a single well-defined field of formal study, like science, with a unified system of foundations, principles, and conclusions, and having practical applications to today’s questions. We trace the history of this One Philosophy, which has been termed the perennial philosophy, from its birth in antiquity with Plato, his student Aristotle, and culminating in the thought of Plotinus; subsequently in the major Islamic and Jewish philosophers such as Avicenna and Maimonides, before returning to the West in the thought of Albert the Great and Thomas Aquinas (sometimes wrongly ascribed as its originator, rather than recipient and student). This single school of thought then continues up to Leibniz, in the 18th century, before slowly becoming lost and obscured in the chaos of modernity. In tracing this history we challenge the modern understanding of philosophy as a field with no unity of meaning, and discuss what for thousands of years has been seen as the philosophy, analogous to one theology, from the basis of there being one truth.